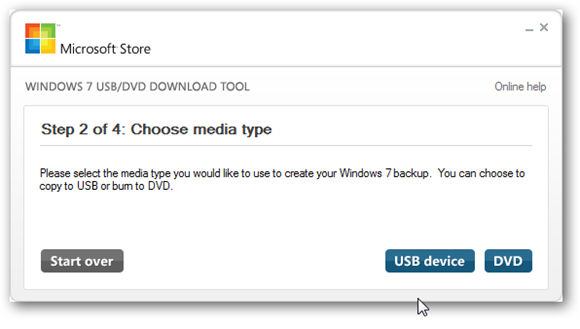 If you are looking to install Windows 8 on your PC, the quickest and easiest way to do it is from a USB key. 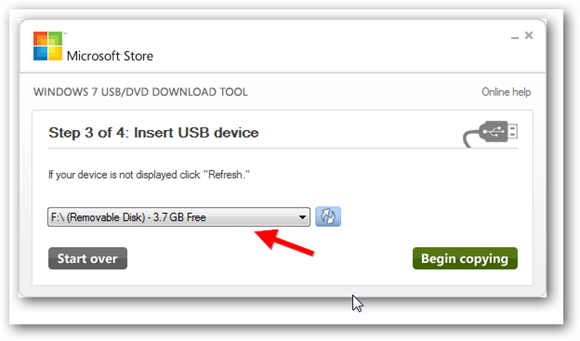 USB keys are much quicker for installing OS’s than using traditional DVD’s and are also easier to carry around with you. 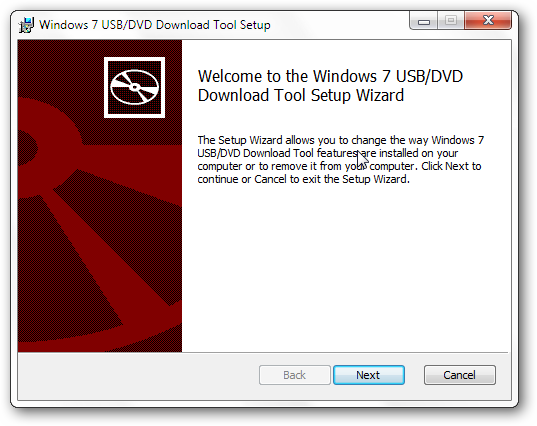 Once you’ve followed the guide below to creating a bootable copy of Windows 8 on a USB Drive, you can install it by going to the “Install from A USB” section of this post. 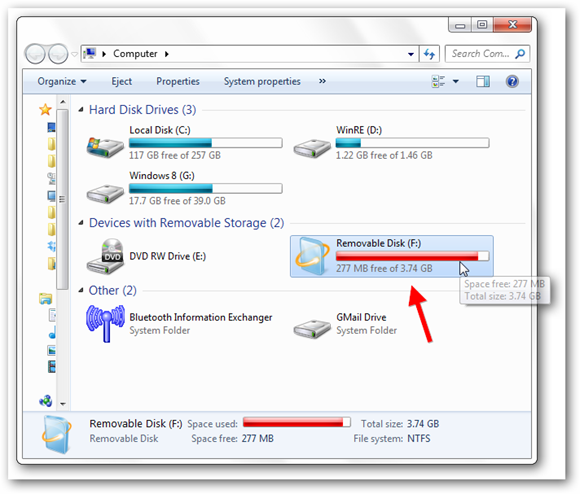 Just before we start, you are going to need a USB Drive with at least 4GB of storage space. Also, you can’t have any other files on the USB. If you do, the tool we are going to use is going to delete them all anyway so make sure you have a backup of any files you want to keep. You will need to download Microsoft’s Windows USB/DVD Tool, then simply install the tool. Even though this tool is for Windows 7, it still works perfectly with Windows 8. 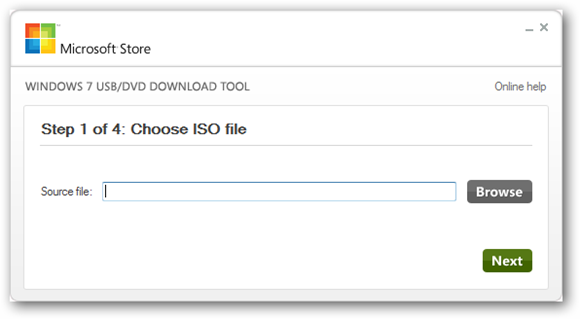 You will also need to make sure that you have an ISO image of Windows 8. 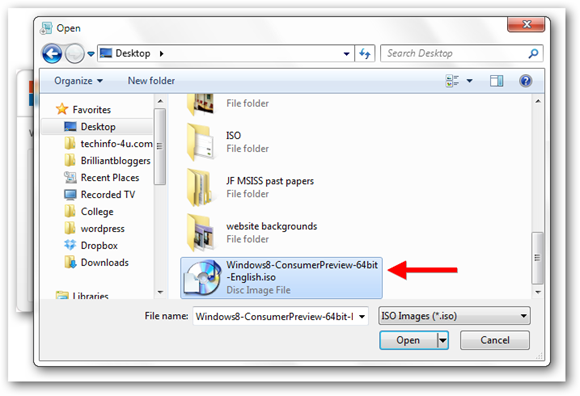 At the moment, you can download the Windows 8 Consumer Preview ISO image from Microsoft for free. 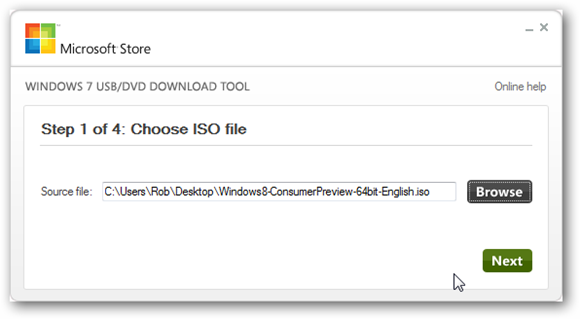 In the future, you will have to buy Windows 8 from Microsoft’s store to download the ISO image. Now we will decide whether or not we want to use a USB or DVD. 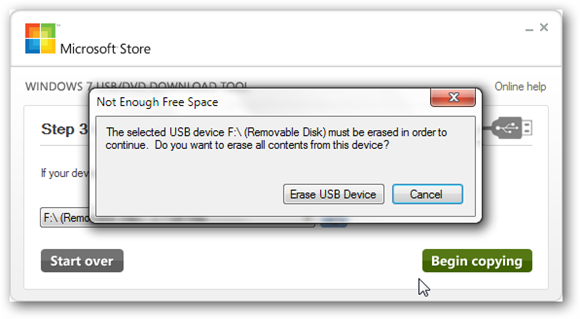 For this guide, we are going to be using a USB so click USB device to proceed. Once you’re sure that you’ve selected the right device, click Begin Copying to start the process. 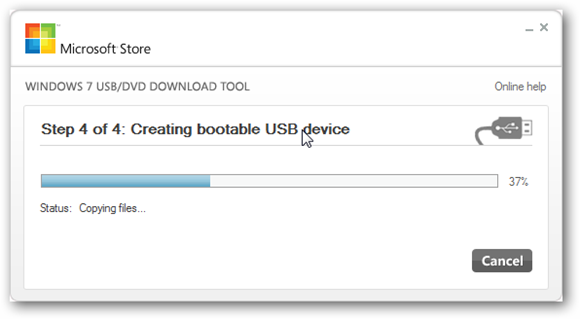 And the tool will begin to install a bootable copy of Windows 8 for you. Once it’s done you will see the below message. You are now ready to go, close the USB Tool and if you go to My Computer and look at your USB Drive you will now find that it’s a bootable copy of Windows 8. 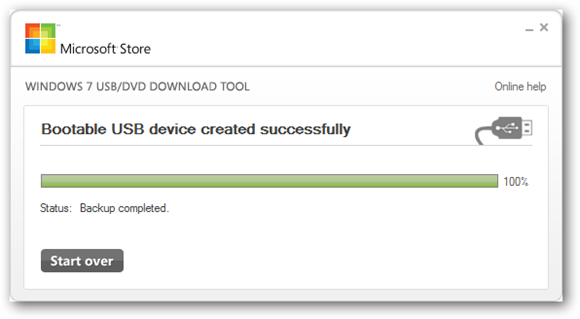 And that’s it, you are now ready to install Windows 8 from a USB drive.